"A thirty or sixty mile ride presented by Gone Riding, a company that has been promoting cycling events for the last 25 years. 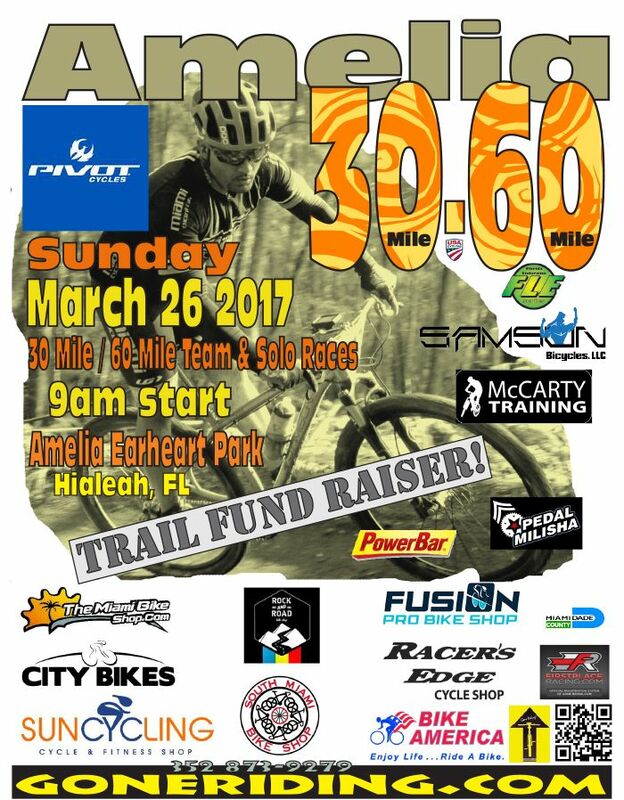 A portion of the race fees will help benefit the Amelia Earhart Mountain Bike Club. This race is round #3 of the 2017 Florida Endurance Series (FLE)."